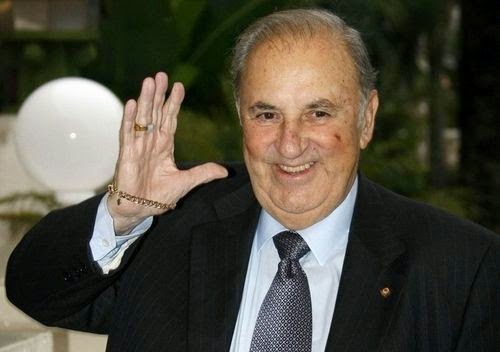 I just heard the very sad news that Italian tenor Carlo Bergonzi has passed away on the evening of July 25th. A true giant in the world of opera, Bergonzi had a warm and beautiful lyric tenor, always used with elegance, musicality, and discerning taste. He never sang beyond his vocal limitations, which accounted for his longevity from around 1950 to 1995 when he bade farewell to the lyric stage, except for a single, unfinished performance of Otello at Carnegie Hall in May 2000. Who can forget his wonderful Cavaradossi, Enzo, Pinkerton, Radames, Andrea Chenier, Don Carlo, Don Alvaro, Don Jose, Riccardo, Turiddu, Canio, and many other roles in the Italian (and particularly Verdian) repertoire? He always respected the composers' wishes, and sang what was on the written page. While many tenors blasted the high B flat at the end of Celeste Aida, he sang it 'morendo' as Verdi had intended. Saw him many times onstage starting in the late 60's until May 2000 at the Carnegie Otello, at the grand age of 75! My last encounter with Maestro Bergonzi was when he served on the jury of the Montreal International Music Competition around 2005. He gave a masterclass that was unforgettable, so full of energy and the generosity of spirit.